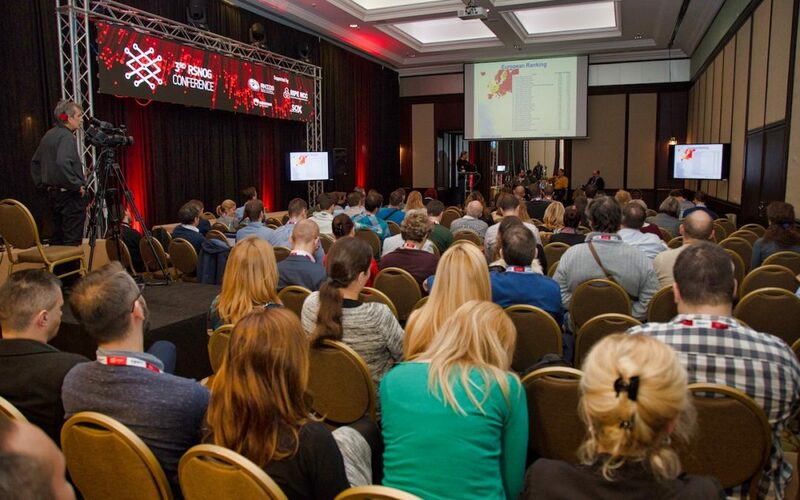 The Third RSNOG Conference was held at the Hyatt Regency Hotel in Belgrade on 23rd November, with the support of the Serbian National Internet Domain Registry Foundation (RNIDS), RIPE NCC, Serbian Open Exchange (SOX) and Mainstream. The event was held together with the ISOC ION Conference, which was organized in partnership with the Internet Society. The two conferences brought together some 120 network professionals from the major local telecommunications companies, cable operators and Internet and hosting providers (Telenor Srbija, Telekom Srbija, SBB, Pošta Srbije, Serbian Open Exchange, CenturyLink, Radijus Vektor, AVcom, Beotel, EUnet), Serbian IT companies (Pupin Telekom, Unicom Telecom, Telekom Inženjering, Algotech), academic institutions (University of Belgrade Faculty of Electrical Engineering, The School of Computing) and state institutions (Office for Information Technology and Electronic Governance, Ministry of Trade, Tourism and Telecommunications, Ministry of Defence and the Serbian Army, Ministry of Education, Science and Technological Development, RATEL). The conference was additionally watched by several hundred people via online stream. The main topics of the ISOC ION Conference were the Deploy360 programme, the activities of the Serbian Internet Society, best practices in Internet traffic routing and the transition to IPv6, as well as current issues being tackled by the Internet Engineering Task Force (IETF). Some interesting statistics from the RIPEstat database for Serbia and the region were presented at the Third RSNOG conference, and there was discussion of the Anycast DNS service, the introduction of DNSSEC in Serbia, the application of machine learning and artificial intelligence in the area of network security, and there was also a working demonstration of IDN email. To end with a quiz was held, testing knowledge of network security, with Arduino and Raspberry Pi kits given away as prizes. As last year, the RSNOG Conference generated increased interest in the RSNOG community mailing list, which gained some sixty new members and now boasts close to 300 network administrators and other members of the Internet technical community in Serbia. More information about the Third RSNOG Conference can be found on the RSNOG community and ISOC websites.